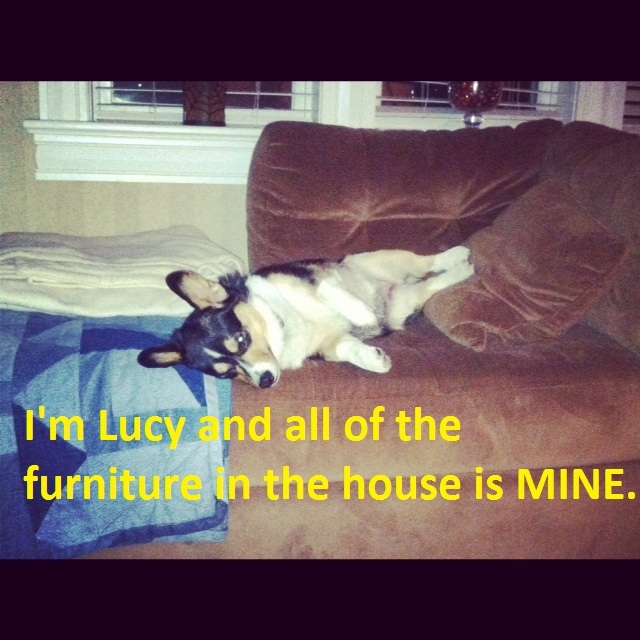 Lucy the Corgi is routinely caught in awkward positions on furniture throughout the house. She can be quite scandalous. Posted December 27th, 2012 .